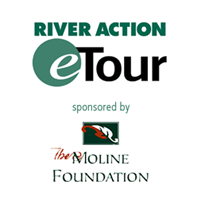 RiverWay Trails | River Action, Inc. Welcome to RiverWay – the Quad Cities' scenic stretch of the Mississippi River with almost 100 miles of area parks, trails and overlooks between the river bluffs. 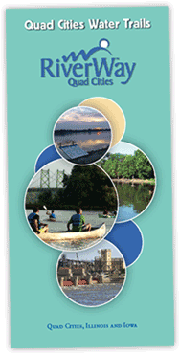 Enjoy America's most famous river by walking or biking along its paved riverfront trails. The Channel Cat Water Taxi provides a scenic and convenient way to cross the river during summer months with docks at Davenport's Lower Lindsay Park, Moline's Ben Butterworth Parkway, and the Isle of Capri Marina in Bettendorf. Bicycles are welcome aboard the water taxi. For those needing to rent a bike, contact the QC Convention and Visitors Bureau. Or, use the bike/pedestrian crossing on the Government Bridge and Rock Island Viaduct. This crossing – separated from motorized traffic – will serve two cross-nation trails, the American Discovery Trail and the Mississippi River Trail. When cyclists think of crossing the country on bike, perhaps one of the major east-west touring routes comes to mind first. However, it would be a big mistake to overlook the Mississippi River trail, a marked bike route that follows the historic river on its 2,000 mile course from Itasca State Park, where the river's headwaters are found in northern Minnesota all the way down to where the Mississipi enters the Gulf of Mexico at the southernmost point in Louisiana. To help guide fellow travelers on their own version of this epic trip, author and cyclist Bob Robinson has compiled the Bicycling Guide to the Mississippi River Trail. 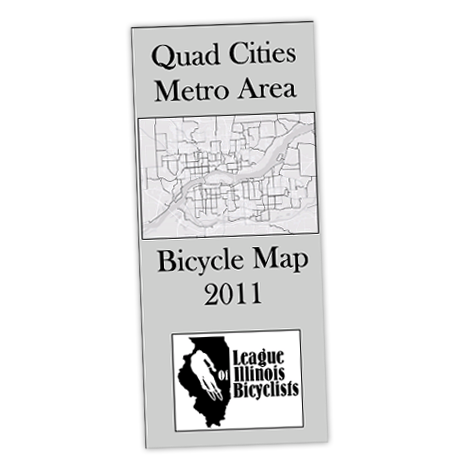 Click on the images below to download detailed maps and information about Quad Cities area biking and walking trails.